Dr Hector Mejia is a sports medicine specialist and has many years of experience caring for professional and semi-pro athletes. 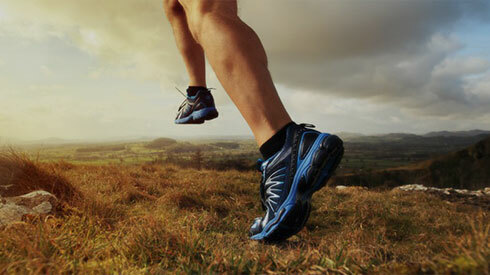 Dr. Mejia is well versed in all types of injury and orthopedic care. He has a specialty focus on ACL reconstructions, as well as, the most complex multi ligament knee injuries. Dr Mejia is also a specialist in complex shoulder injuries, total shoulder and reverse total shoulder replacements. After several years for working with baseball players, Dr Mejia is also regarded as a specialist in Tommy John/UCL reconstruction in the elbow. Dr Mejia was born in Honduras and moved to the States when he was eleven years old. He lived in Orlando, Florida and grew up there with his family. 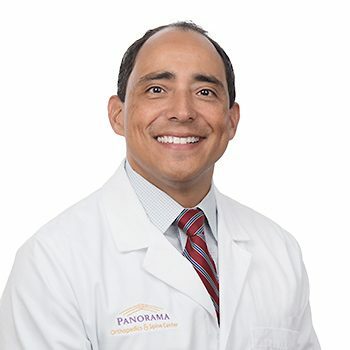 After high school, Dr Mejia attended Florida State University and received a degree in Biochemistry. He then went on to University of Florida where he received his medical degree. Many life experiences led Dr Mejia to an interest in medicine. Initially he thought he would be interested in becoming a primary care doctor but after a couple of orthopedic injuries in high school and college he began to think about the possibilities of orthopedic medicine. In addition to his own personal experiences with orthopedic injuries, he had the opportunity to volunteer at a local urgent care center, where he was eventually hired to be a medical assistant, as he worked his way though college. In that role he helped patients with all types of primary care issues and urgent medical needs from strep throat to stitches. Through this work he had the chance to go on a medical mission trip in Haiti. At that point, he fell in love with medicine and knew he wanted to become a doctor. Dr Mejia since has completed medical mission trips all over Central America and the Caribbean– from the Dominican Republic to El Salvador, Nicaragua and Guatemala. He finds this work to be extremely rewarding and gratifying. Once Dr Mejia finished medical school in Florida, he got a taste of Colorado when he came to the University of Colorado for his residency training in orthopedics. Dr Mejia was an attending surgeon at the VA hospital in Denver while his wife finished her fellowship in endocrinology. Once he finished his residency in orthopedic surgery, he went on to the University of Pittsburgh for a sports medicine fellowship. “I just really enjoyed sports medicine because I like the quick connection with the athletes and the ability to get them back to play quickly,” he says. “I really liked seeing immediate results and when you are treating athletes you have the opportunity to see quick recovery from injury.” While in Pittsburgh, Dr. Mejia worked with the team doctor for University of Pittsburgh football team, Duquesne University, Robert Morris and the Pittsburgh Steelers. After he completed his fellowship, he moved to Tallahassee Florida and joined an orthopedic group there where he worked as the team doctor at Florida State University – taking on the team physician role for the football team, baseball team and the women’s basketball team. Growing up in Honduras, Dr Mejia began playing soccer at a young age and over the years became an avid soccer fan. When he is not at work he also enjoys attending soccer, baseball or football games. Dr Mejia is married and has three young children. As a family they love the arts and theatre, skiing, snowboarding and hiking. They are excited to have the opportunity to enjoy the Colorado lifestyle. Jonathan Salamt, PA was born and raised in Kingsport, TN. He graduated from The University of Tennessee, Knoxville with a degree in Exercise Science and then went on to earn his Master in Medical Science at Lincoln memorial University -DeBusk College of Osteopathic Medicine in Harrogate, TN. Jonathan has been working with Dr. Mejia since 2012 as his PA in Tallahassee, FL providing medical coverage to the Florida State University, Tallahassee Community College, and Florida A&M University athletic teams. He has always participated in athletics and recreational sports himself and has been providing medical care to athletes since his days in undergraduate studies when he worked as a student athletic trainer with the Lady Vols Athletics.